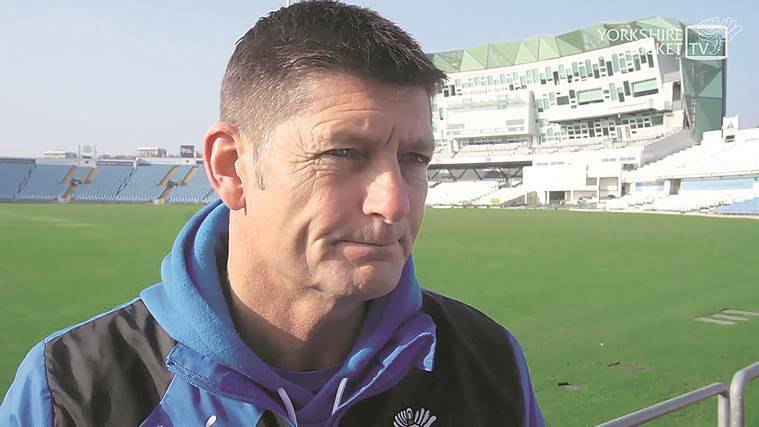 Former England opener and current Yorkshire’s director of cricket, Martyn Moxon has revealed Cheteshwar Pujara had struggled to score runs due to conditions and oppositions. Meanwhile, Pujara had a dismal County stint this year. Moreover, he failed to score runs in the three-day warm-up against Essex. However, Martyn Moxon feels Pujara has no alarming technical concerns for the poor run. “In the four-day stuff, he obviously didn’t get the volume of runs that we would have expected or we would have liked,” he said to The Indian Express. “But at the start of the year, he had a couple of poor LBW decisions and ran himself out as well. There was so much rain in the early part of the season when he played. The pitches were very seamer-friendly, so it was not easy for anybody to bat,” he added. Moxon further talked highly of Cheteshwar Pujara and admitted he worked hard to score runs. However, he didn’t get the start he would have wanted. He also revealed the right-hander expressed his disappointment for not scoring the runs for his team. “Pujara himself said he was disappointed that he didn’t get the volume of runs in the County Championship. He said ‘I’m really sorry but I tried my best.’ And we knew that. There’s no denying that he gave everything he had. But it didn’t quite work out. He knows that, everybody knows that,” Moxon added. In conclusion, Martyn Moxon refrained from advising Indian selectors whether to pick Cheteshwar Pujara in the playing XI. The five-match Test series between India and England commences on August 1 at Edgbaston.